This is a fine ceramic pulley wheel system from the Tripeak brand name. 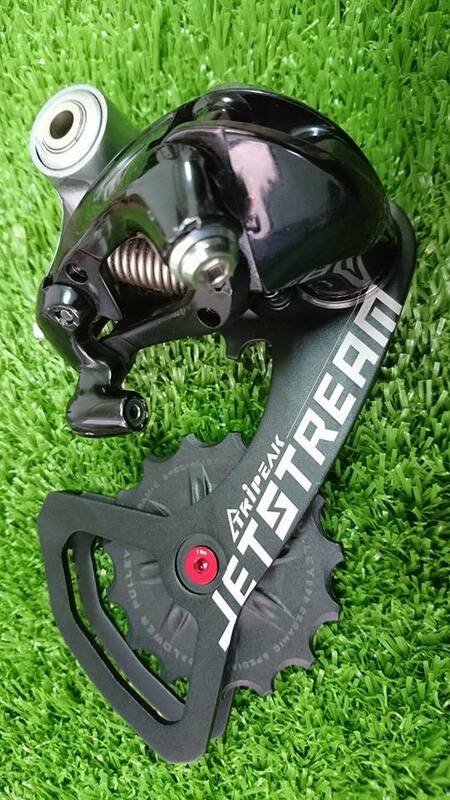 The Tripeak Jetstream oversized pulley wheel system has been developed to answer the riders’ increasing need for improved drivetrain performance. 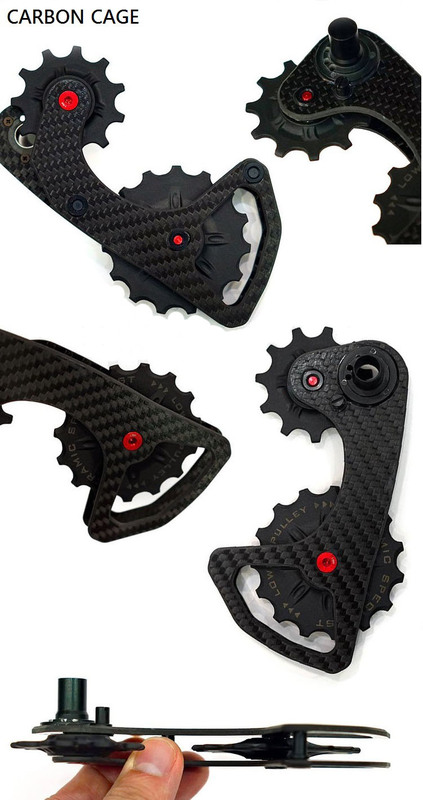 The Tripeak Jetstream optimizes the overall efficiency of your drivetrain thanks to the extremely low friction of the ceramic bearings and the unique design of the overall system.